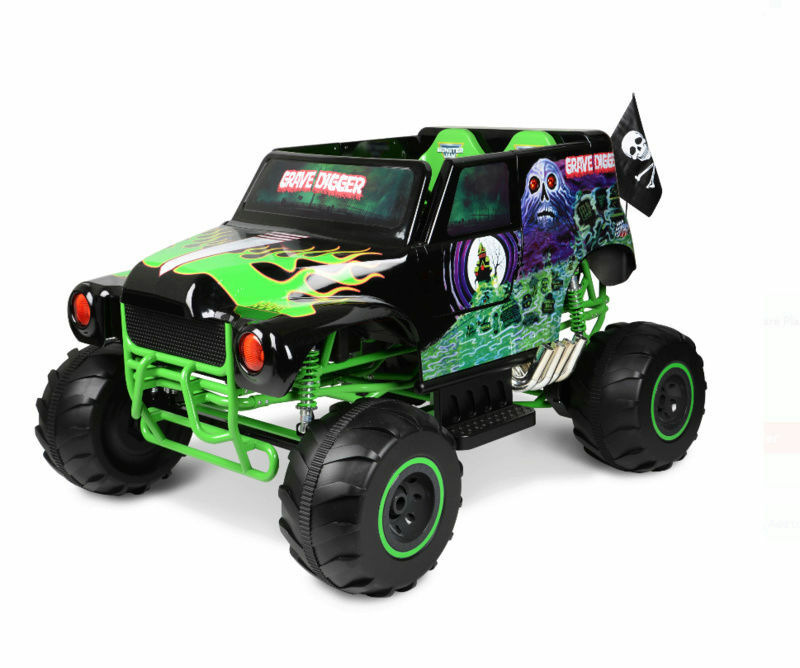 The Monster Jam Grave Digger Replica is the perfect ride-on for any Monster Jam fan. The Replica is designed for kids to feel like they're in Monster Jam with oversize wheels and quick handling. 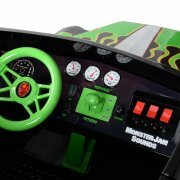 This Grave Digger replica has 2 seats so kids can share in the fun! Grave Digger styling in a childrens ride-on. 2 speed gear box high and low settings, as well as forward and reverse. Massive 330mm x 145mm wheels with authentic tread pattern on all 4 tires for maximum traction. 2-wheel rear drive motor. Engine start sound, as well as functioning horn and front light. Designed for ages 3+ and riders under 88 lbs. Up to 40 minutes of ride time using the high speed setting. 24 Volt rechargeable battery system. 2 seats!